Artesanía specializes in handmade pottery and experiments in various decoration techniques. We believe in enhancing the visual appeal through different types of glazes, effects and various decoration techniques. All products are handmade using different clay modeling techniques like throwing, pinching, coiling and slab. We offer a variety of products ranging from utility (mugs, platters, bowls, etc.) to home décor (lamps, wall panels, decorative articles). We also make personalized artwares on order as per the requirement of the client. 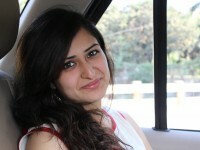 Hi, I'm Sejal Sethi. I'm a ceramic artist based in Mumbai, Maharashtra. My journey with ceramics started 7 years ago, when I joined a wheel throwing hobby class, and from the first day on, I was hooked. I was immediately fascinated by the way the clay changes shape and can be molded by applying the slightest of pressure. The spinning mass of clay on the wheel is almost hypnotic. It became my passion and I decided to pursue it professionally. Out of all the techniques I have learnt in my degree course at Sir J.J. School of Arts (2010-2014), Throwing on the wheel remains my favourite and most preferred method of clay modelling. I enjoy experimenting with different glaze decoration techniques. I like to keep the shape and form simple and work more on the visual appeal through glazing. All products will be shipped via reputed couriers only. They will be shipped within 10-12 days. All articles are handmade and unique, thus an exchange would not be possible. But if you find the piece to be damaged at the time of delivery, please do get in touch with us within 7 days.